Good afternoon. The District of Columbia Financial Responsibility and Management Assistance Authority has called this press conference to announce the selection of Dr. Camille Cates Barnett as Chief Management Officer. 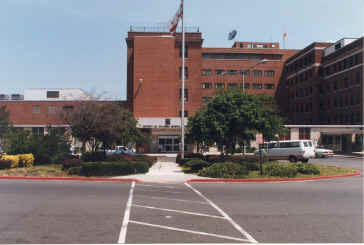 The Chief Management Officer ("CMO") is a new position in the District of Columbia created for the purpose of assisting the District of Columbia Financial Responsibility and Management Assistance Authority ("Authority") in carrying out its mandate to improve the effectiveness and efficiency of management in the District of Columbia government. The CMO will work on behalf of the Authority to bring about management reform within the District of Columbia Government. The Chief Management Officer is appointed by the Chairman, with the approval of the Authority, and reports to the five-member Board, through the Chairman. The CMO will have day-to-day contact with the Chair of the Authority, and other Board members. She will implement Board policies and procedures with respect to management and reform of City services, and will work cooperatively with the Executive Director of the Authority and the Chief Financial Officer. The Financial Authority members are pleased that Dr. Barnett has accepted this challenge. Her background and experience make her uniquely qualified to meet these challenges. Dr. Barnett works in the Research Triangle Institute's Center for International Development. Specifically, on project design and implementation in urban management, with a focus on re-design and innovations in governance, performance management, economic development and sustainable cities and regions. She has over 27 years professional experience in municipal management, with 23 years in city management in the United States. Her focus is participation, performance management, economic development and sustainable cities. She has a Ph.D. in public administration from the University of Southern California. Initiating BASICS (Building Austin's Standards in Customer Service), a Total Quality Management change process in the entire city government, focusing on customer service. Initiated the most comprehensive set of financial policies ever adopted by a city; municipal bond rating raised during tenure. Consistent reduction in employee turnover and improved employee morale. Turnaround in housing programs from HUD audit findings to award-winning program. Tenfold increase in housing units produced each year. Managed significant environmental protection initiatives. Privatization initiatives in various city operations (e.g., solid waste, custodial and security services). Initiated strategic planning system, integrated with budgeting and performance evaluation system. She was Director of Finance and Administration for the City of Houston, Texas from 1987 to 1988 where she assisted the Mayor in the general administration of City operations involving 20 operating departments and 20,000 employees. Managed a $1.3 billion operating budget and a $4.2 billion five-year capital improvement plan budget. As director of departmental operations, served as City Treasurer, supervised budget preparation, financial planning and reporting, utility and transportation regulation, preparation of City Council agenda, management analysis, productivity improvement, and State and Federal legislative representation. Dr. Barnett will be compensated at an annual salary of $155,000 which is comparable to that of similar sized cities. She will also be eligible for a performance bonus. She will be entitled to relocation assistance and fringe benefits consistent with other Authority employees. Now I'd like to turn to my colleagues and ask if they have any comments they'd like to make at this time, then we will hear from Dr. Barnett, and then open the floor to receive questions from the press, I'm sure you must have a few. Dr. Barnett works in Research Triangle Institute's Center for International Development. She has over 27 years professional experience in municipal management, with 23 years in city management in the United States. Her focus is participation, performance management, economic development and sustainable cities. She has a Ph.D. in public administration from the University of Southern California. 1995 to Present. Senior International Municipal Specialist, Research Triangle Institute, Research Triangle Park, NC. Project design and implementation in urban management, with a focus on re-design and innovations in governance, performance management, economic development and sustainable cities and regions. Project Oversight for the Democracy and Governance program (world wide: Bulgaria, Lithuania, Latvia, Estonia, Gaza and the West Bank) and the Municipal Development Projects (E1 Salvador, Croatia), including municipal management, Social strengthening, capital finance, civic participation, and national policy reform. Direct Sustainable Cities and Regional Development Drives: Designed and organized Sustainable Cities Symposium for Research Triangle Area, using international lessons for local issues. Consultation, commentaries and speeches on sustainable metropolitan regions, both nationally and internationally. Designed and presented courses on sustainable cities to governmental representatives from Africa and Indonesia. Consultation, workshops and speeches with federal agencies on re-engineering, participation and management trends. Design and present courses in municipal management, Russia, Kyrgystan, and Croatia, including civic participation, infrastructure finance, economic development, developing fiscal policies, enterprise finance and management, revenue generation, performance management and performance contracting. Adjunct Professor, University of Southern California, Los Angeles, CA, Local Government Course, 1997. 1994. Management Consultant and Speaker, designed and facilitated "Transforming Public Service workshop and "Citistates" conference. As a Management Consultant and Speaker, specialized in the management, development, and re-design of public organizations. Clients included: the U.S. Congress, specifically the Office of Technology Assistance ("Service Sector Productivity"), and House and Senate Appropriation Committees ("Setting Priorities at the Environmental Protection Agency" through National Academy of Public Administration); selected cities include: Albuquerque, New Mexico; Seattle, Washington; Atlanta, Georgia; Coral Springs, Florida; Overland Park, Kansas; and Lenexa, Kansas. Adjunct Professor, University of Texas at Austin, LBJ School of Public Affairs, Austin, TX; courses in Urban Management and Leadership, 1994. Initiated BASICS (Building Austin's Standards in Customer Service), a Total Quality Management change process in the entire city government, focusing on customer service. Consistent better-than-budget performance in all funds (tax supported and enterprise), despite property devaluation, and no increase in water and electric rates. Privatization initiatives in various city operations (e.g., health care, solid waste, custodial and security services). Redesigned budget and policy analysis process resulting in policy goals and non-controversial budget process. Managed long-term capital improvements program and successful bond program and election. 1988-1989. Associate, The Center for Excellence in Local Government, PMC Associates, Palo Alto, CA. Consulted in city management, productivity improvement, organizational development and creativity. 1987-1988. Director of Finance and Administration, City of Houston, Houston, TX. Assisted the Mayor in the general administration of City operations involving 20 operating departments and 20,000 employees. Managed a $1.3 billion operating budget and a $4.2 billion five-year capital improvement plan budget. As director of departmental operations, served as City Treasurer, supervised budget preparation, financial planning and reporting, utility and transportation regulation, preparation of City Council agenda, management analysis, productivity improvement, and State and Federal legislative representation. Deputy City Manager: Served as Chief Operations Officer of the City, responsible for 22 operating departments, 14,000 employees, an $816 million operating budget and a $210 million annual capital budget. Supervised four Assistant City Managers. Responsible for policy recommendations to City Council. Directed development activities and economic development programs, management training and development, productivity improvement, capital improvements, and bond financing. Assistant City Manager. Responsible for Policy recommendations to City Council and the supervision of City departments, including operations of Water Utilities, Public Utilities, Aviation, Personnel, Purchasing, Urban Planning, Office of Transportation programs, Office of Economic Development, Municipal Courts, Dan Transit System, Dallas/Fort Worth Regional Airport and Surtran Transportation System. Assistant to the City Manager. Responsible for Policy recommendations to City Council and for the supervision of City departments, including operations of Water Utilities, Public Utilities, Aviation, Municipal Radio, Public Health, Personnel, Purchasing, City Attorney, City Auditor, Dallas Transit System, Dallas/Fort Worth Regional Airport, Civil Service, Employee Retirement Fund, and Police and Fire Pension. 1973-1977. Intergovernmental Relations Officer and Administrative Assistant, City of Sunnyvale, Sunnyvale, CA. As assistant to the City Manager, responsibilities included intergovernmental activities, policy and systems development, productivity programs, electronic data processing, community relations, labor negotiations, staff training, budget review, municipal elections and supervision of the Office of the City Clerk and print shop. As Administrator, responsibilities included community and employee communications programs, productivity programs, and budget review. 1971. Administrative Assistant, City of Grand Rapids, Grand Rapids, MI. Responsibilities included preparation of Model Cities grant application and contract supervision for the Model Cities Program. International City Management Association: Research for the Open Space Land Program and A-95 metropolitan planning and review. Member of the United States Preparatory Committee for United Nations City Summit, Istanbul. United States Department of Housing & Urban Development, 1996. Commentaries on WUNC public radio station on urban issues. National Academy of public Administration; Member of Board of Trustees, 1997-Present; Nominating Committee, Conference Planning Committee; Fellow since 1989; Member, panel on Setting Priorities at Environmental Protection Agency, 1994. Alliance for Redesigning Government Advisory Board, national Academy of public Administration, since 1993-, member of Executive Committee. Public Technology, Incorporated; Board Member 1989-1994.
International City/County Management Association; various positions; member since 1973. National Civic League Council of Advisors, 1994-Present. American Society of Public Administration; Member. Texas City Management Association; various positions; member since 1997. Editorial Board, Public Administration Review, 1993; 1985-1988. Editor, Public Productivity Review, Center for Productive Public Management, New York City, 1978-1979. Southern Methodist University, Cox School of Business; Associate Board Member, 1980-1987. United States Presidential management Intern Program; Dallas Regional Cluster Group Leader. Chair of Greater Austin Chamber of Commerce quality Council, 1992; Member since 1991. Greater Austin Chamber of Commerce; Economic Development Committee Member 1989-1993. Austin Area Research Organization, 1994-1995. Greater Austin Quality Council Award for Leadership and Merit, 1994. Local Official of the Year, South Central Region, National Association of Home Builders, 1993. Award for Excellence, International City Management Association, 1993. Elmer States National Public Service Award, American Society for Public Administration and National Academy of Public Administration, 1992. Lone Star Girl Scout Council, 1992 Woman of Distinction. Honored by Austin Women's Chamber of Commerce, 'Camille Barnett Celebration," 1991. Governor's Commendation on Austin City Workplace Literacy Program, 1991. Literature Award, American Society for Public Administration, for contributions to Management Science and Policy Analysis, 1985. Louis Brownlow Award, American Society for Public Administration, for most meritorious article by a practitioner, 1984. Selected for Executive Session of Community Policing Program, John F. Kennedy School of Government, Harvard University, 1985- 1988. "Business Associate of the Year," American Business Women's Association, 1984. "First Lady of the Year," Dallas Chapters of Beta Sigma Phi Sorority, 1983. Selected to represent the United States by the International City Management Association in the International Cutback Management Symposium, Japan, and as American representative for United States Information Agency programs in Japan and Korea, 1982.
Who's Who in American Women, 1980. "Outstanding Young Women in America," 1979. "Outstanding Women in Government," Sanger-Harris Career Lifestyle Award, Dallas, 1978. Honored by the Dallas County National Organization for Women for special contributions to the City of Dallas, 1977. "Outstanding Achievement in Public Administration," for citizen participation project entitled "New Directions for Sunnyvale," by the Bay Area Chapter of the American Society for Public Administration 1975. "When Does Growth Cross the Line? How We Save Our Identity," The News and Observer Raleigh, NC, July 24, 1997, p. 23A and p. 26A. "Sustainable Cities," with Francine Lulofs. Research Triangle Institute Working Paper, Research Triangle Park, NC, 1996. "We Need New Ways to Govern New Kinds of Cities," The Chapel Hill News November 17, 1996, p. A5. "Plan, Coordinate - or We're Cooked," The News and Observer, Raleigh, NC, September 1, 1996, p. 37A. "Municipal Role in Economic Development," Research Triangle Institute Working Paper, Research Triangle Park, NC, November, 1995. "Team Tool Kit," Research Triangle Institute Working Paper, Research Triangle Park, NC, 1995. "What's a Nice Girl Like You Doing in a Business Like This?" Public Management, Vol. 77, No. 2, February, 1995. "Like It or Not, Austinites Have to Confront Big City Problems," Austin American Statesman, Austin, Texas, July 25, 1994, p. A-11. "How Do You Know You're the Best? ", Managing for Best Results: Performance Measures in Government, Conference Proceedings, The University of Texas, 1994. "A Call to Action: A Marshall Plan for America - Renew Our Core Value of Reform, Management, International City Management Association Washington, D.C., January, 1993. "A Call to Action: A Marshall Plan for America," U.S. Mayor, U.S. Conference of Mayors, Washington, D.C., October 26, 1992. "Leadership: Arranging The Chairs -- Reflections on the Lessons of Neely Gardner," Public Administration Quarterly. Vol. 16, No. 2, American Society for Public Administration, Summer, 1992. "Community Policing: The New Model for the Way the Police Do Their Job," with Robert A. Bowers, Public Management, International City Management Association, Washington, D.C., July, 1990. The Creative Manager, and, with George Barbour, Leader's Guide for Creativity Workshops, International City Management Association, Washington, D.C., 1987.